Today’s home is a far cry from the simple homes of our forefathers. The expectation is that they are green, efficient, roomy and beautiful. Talk to an architect first! In the old days homes were simple. A single room with an open hearth, a few tiny windows and a drafty front door were the norm. But today, a good, new home is designed to become an optimally functioning machine that supports many high tech systems. Heating, cooling, appliances, light, entertainment, water, etc. are the norm and need to function as a unit. Why? Because they are constantly being used at the same time. Just think about what your family is doing at 5pm on a Tuesday night in mid January. Think about all the work your home is loyally performing without a whimper. Think of Your Home as a Human Body? Getting all these high tech parts of a home to work as a team is not easy. Just like the systems within the human body, modern home systems need to be planned and placed just-so. Only with good planning can we obtain the optimal efficiency we all want over the long term. It’s true. Many modular home factories now participate in the Green Building and Energy Star programs. but only an architect who is trained, and licensed, will know how get the maximum benefit out of every one of these complicated features. A draftsman in a factory just won’t know how to do it right. Our hearts, in order to work most efficiently, are carefully positioned in close proximity to the other the vital organs that support it. The arteries going to and from your heart need to be the optimal length, width, and material to provide lasting support during times of rest AND times of stress. Energy saving programs are exactly the same. If not implemented by a trained professional, they can result in, at best, a wasted effort for the homeowner and, at worst, a failed home. Shouldn’t Your Home Perform Perfectly? An architect is the professional who plans the implementation of all home systems such as foundations, decks, garages and detailed feature elements such as built-ins to accommodate appliances, electronics, entertainment area wiring, sound and so much more. So why would you not demand that an architect also plan for the ways to save money on your electric bills and the application of amazing green energy features. If not done correctly, your savings, and all those green benefits, will go right out the window! Modular Architects are pleased that Energy Star appliances and LEED rated products are now being installed at the factory to support green modular building. For example, closed cell spray on insulation affords a very efficient insulation rating and is offered by most manufacturers. And, because the exterior is easily accessible at the factory, spaces behind the electrical boxes and plumbing are properly coated with foam insulation. This is not as easily accomplished with conventional building. The Energy Codes put forth by the DOE has made energy conscious design far more efficient than 20 years ago. Mandated, low VOC paints and products limiting “off gasses” have made the indoor environment safer as well. Newly improved, highly effect heat pumps are now being specified over gas and oil fired systems. The cost of operation has come down due to these latest heating and cooling technologies. • Minimal glazing along the home’s north walls to help reduce heat loss over the cold months. • Active systems such as Photovoltaic Elevation web B can be designed into the architectural plan quite easily whether or not the home is modular. The coordination of all these systems can, and should, be drawn into the plans by your architect, not your builder! They will work better AND they will look better too. Remember. Custom modular design and construction is a hybrid form of prefab building. Choosing the right contractor/builder dealer is also a very important selection, but the architect always comes first! Yes. We are licensed, modular architects! 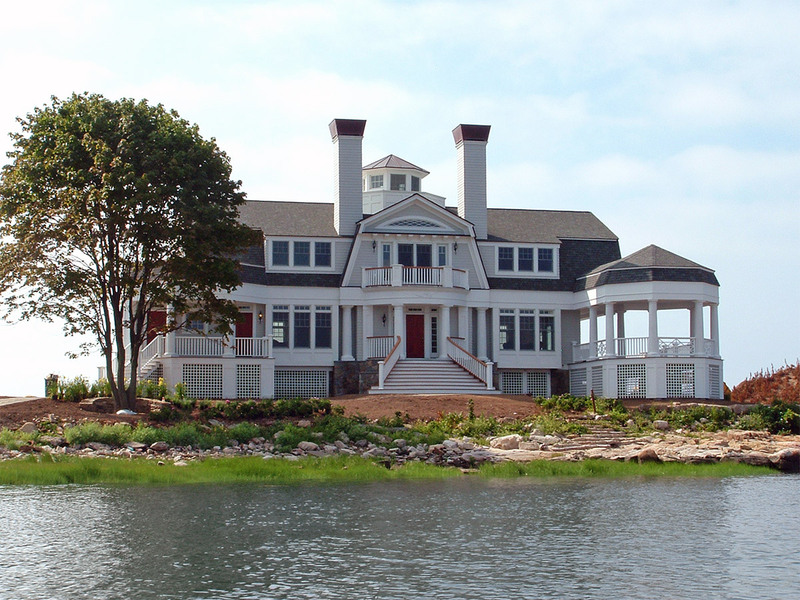 Contact us to have your home designed efficiently and built right! Modular construction is natural too, ya’ know. previous post: Modular construction is natural too, ya’ know.